The suburb of Rosemont may be best known for its proximity to O’Hare airport, about 20 minutes from downtown Chicago. 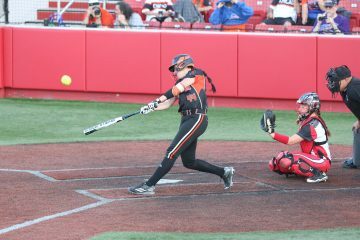 But don’t overlook this excellent location during your trip to the windy city! This a place that attracts visitors from around the world because of its amenities. A variety of dining options, the Donald E. Stephens Convention Center, MB Financial Park, and the Fashion Outlets of Chicago are among the attractions. 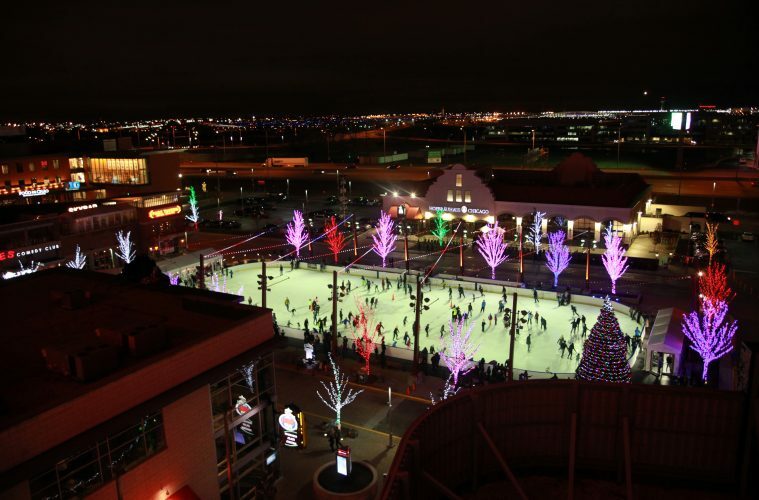 And this time of year, Rosemont is full of seasonal fun and cheer. 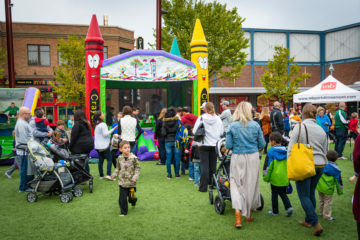 MB Financial Park, always the center of action in Rosemont, features events for the whole family. 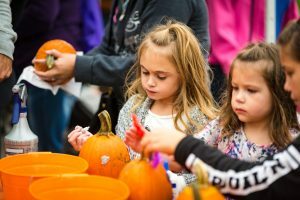 On 10/7, MB Financial Park will hold a free Family Fall Festival with hay rides, live music and entertainment, and more family fun. Then, it hosts the FROZEMONT ice rink, from 11/24 on the same day as the “Light Up the Park” tree lighting. Expect Santa and Mrs. Claus, photo ops, ice carving, and horse-drawn sleighs. The rink will be available through the end of the year. Nearby, The fifth annual Oktoberfest celebration takes place at Hofbrauhaus from 9/15-10/29. The Fashion Outlets of Chicago’s “Fashionably Late” 24-hour Black Friday shopping event takes place 11/24-11/25, and Santa HQ will be set up from 11/10-12/24. Concerts and high-profile events take place at the Allstate Arena all the time. This season, these include concerts by Soul2Soul on 9/1, Ed Sheeran on 9/15-9/16, and Scorpion on 9/23. Disney on Ice presents Dream Big 9/28-10/1. Enrique Iglesias and Pitbull perform on 10/7, Ricardo Arjona comes 10/8, and Janet Jackson rocks the house on 10/26. Marvel Universe Live is on hand 11/2-11/5, and the 90s Pop Tour is 11/7. Halsey’s Hopeless Fountain Kingdom tour arrives 11/19, Marc Anthony performs 12/3, and the truTV Impractical Jokers “Santiago Sent Us” tour takes place 12/15. 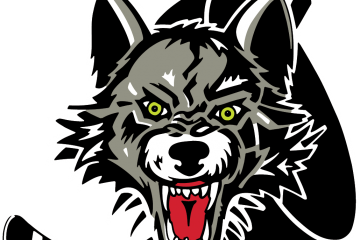 You can also experience Northwestern University Men’s Basketball here, along with the Central Division Champion Chicago Wolves. The Rosemont Theatre is home to cultural events and concerts as well. This elegant venue hosts many shows this fall, including some big names in Latin pop. Brian Wilson comes on 10/6, Kenny Rogers performs on 10/28, and Jerry Seinfeld does two shows on 11/17. For the kids, Disney Live! Mickey and Minnie’s Doorway to Magic takes place from 10/20-10/22, the Wild Kratts make an appearance on 11/12, and Shopkins Live takes place 12/9. And the holidays include a show from Johnny Mathis on 12/1, Cirque Musica’s Holiday Spectacular on 12/2, Moscow Ballet’s Great Russian Nutcracker on 12/3, Mannheim Steamroller’s Christmas on 12/15, and the John Denver Christmas Show on 12/16. Rosemont is also home to the Donald E. Stephens Convention Center, second only to downtown’s McCormick Place in terms of size and profile for trade shows. 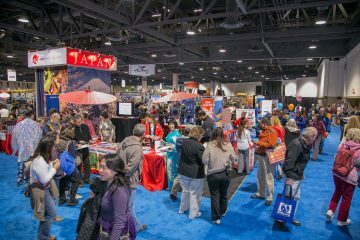 Upcoming public shows include TransWorld’s Jewelry, Fashion & Accessories Show from 10/12-10/15, The Chicago Women’s Expo on 10/21-10/22, The Fanatics Sports Spectacular on 11/17-11/19, the Muscle Car & Corvette nationals on 11/18, the Skokie Valley Kennel Club Judging Program on 12/7-12/9, and the International Gem & Jewelry Show on 12/8-12/10. 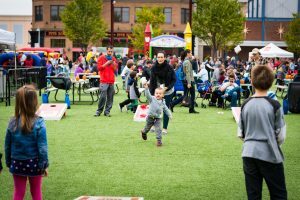 If you’re in the area enjoying these events, you can enjoy great dining before or after any of them – thanks to Rosemont’s huge variety of amazing restaurants. Try Adobe Gila’s for great Mexican, outdoor patio seating, and live music! Love southern barbecue? Bub City, with its house-smoked meats, trivia nights, live band karaoke, and Whiskey Wednesdays might be your place. 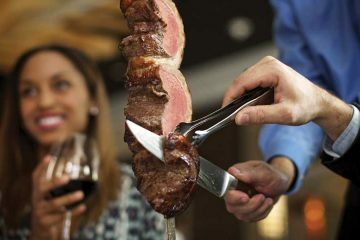 Or, get Brazilian meats at Fogo de Chao Churrascaria. Carlucci Rosemont, featuring a Tuscan menu and an award-winning wine list, is a local favorite. Love steak? Try Gene and Georgetti, Morton’s The Steakhouse, Harry Caray’s Italian Steakhouse, or The Capital Grille, and don’t forget McCormick & Schmick’s for seafood. 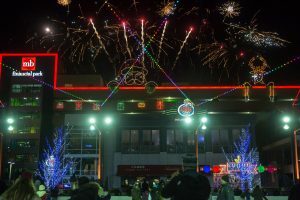 For additional information on the entertainment, nightlife, restaurants, hotels, sporting events (including new Chicago Dogs baseball team), and other great places available in Rosemont right off I-294, visit www.rosemont.com.